I’m honored to accept this award. I’ve read many varying points of view concerning these blog awards. Personally, I think they are indicative of why we blog in the first place…for creativity, consciousness, and community. These awards help to connect us and make the vastness of the blogoshpere a little more manageable. 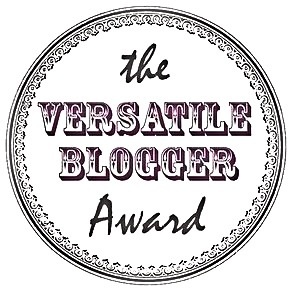 I’m excited to discover other amazing blogs as a result of receiving this award. 7. I love onion rings with my hamburger, but I hate onions on my hamburger…(go figure). Again, thank you Lisa for nominating me for this award. Here’s to the love of blogging!! !